The day the list goes live! I hardly slept, I don’t know why I was as prepared as I can be for the un-prepareable. 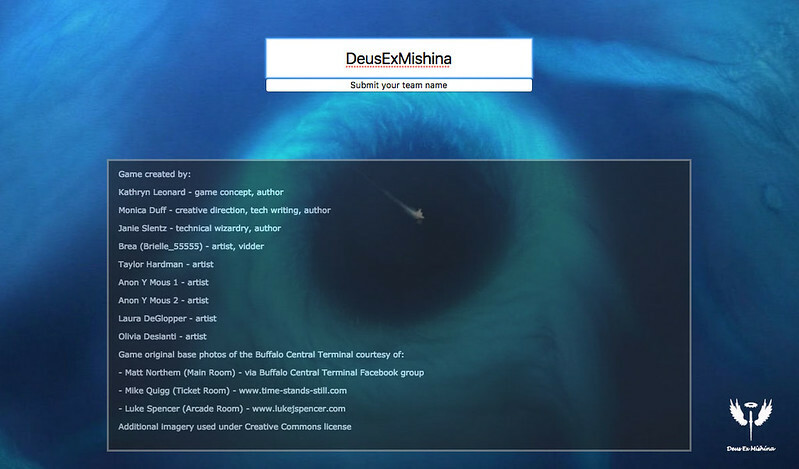 I have an amazing team Deus Ex Mishina who have created some amazing things before and I’m so excited to be with them and they all seem like such great people! 3pm – Oh my chuck… the list… Some great sounding items this year. Spent most of my first night reading and re-reading the list, writing down what I’m doing and lists of stuff I need from the craft store tomorrow. I slept for 6 hours. I jumped right in to item 84 this morning. During my run to the craft and costume shop I had planned what book I was going to reproduce. 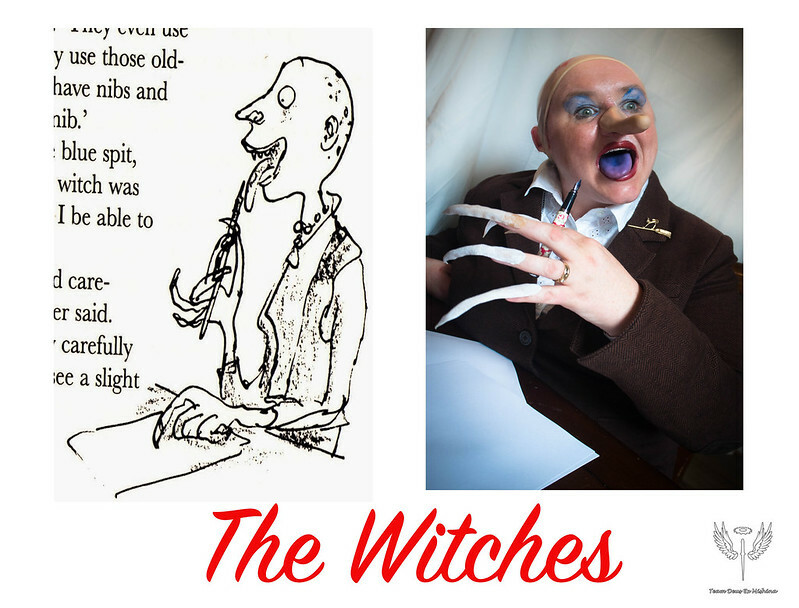 I recently read Roald Dahl The Witches to my daughter, who loved it. Also after considering different books like OZ and Alice I wanted to do something a bit different. So with worbla glued onto my nails to be claws, a nose that kept falling off and soaking my tongue in blue food colouring I think this came out pretty well? Next up I jumped right into another photo shoot for item 8, this was to be our team photo. We had discussed as a team how we were going to do our alien boxes and we decided to go for naked and pinned down like dead butterflies. 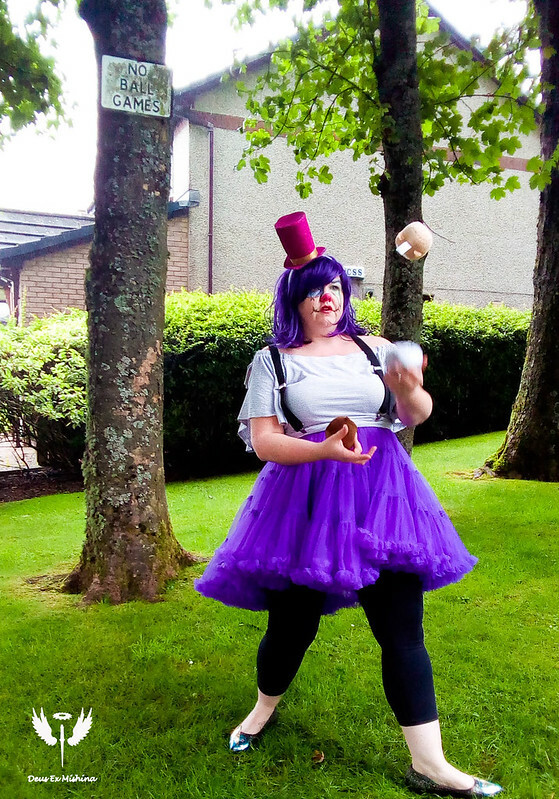 This was going to be very simple in relation to costume at least but I did don my rainbow wig and my pin was made from a skewer and a ball of tinfoil and I fired on some makeup to make me look like I was dead. The year is 2021. Of all the unique and amazing human specimens on Earth, it was hard for the aliens to choose which ones to collect, but your team stood out as being excessively weird & worth “analysis”. Your entire team was abducted and put into an alien specimen box. In grid form, show each member of your team along with a card explaining where they got you (city, country) and a word stating what special characteristic makes you unique. Over night I got to work making items for the next day, a kite, a unicorn horn and a tiny nightclub and started planning a trip to get some of the location items. Luckily my parents has agreed to look after my daughter for a couple of nights and hubby said he was happy to fend for himself. Looks like I am going on an adventure. I probably got around 4 hours sleep. Monday was a crazy day, I had my amazon delivery arrive of which most of it was costumes that got fired right into my bag for going away. I was on the clock as was leaving that evening to go to London on the sleeper train. But before that there was plenty gishing to do. I started the day off by dressing up like a clown. I’m slightly worried that the costume was all my own clothes but I did like how it turned out. The clown was going to be for item 75, break a rule. I wanted to do this up at my parents house as there is a no ball games sign and my daughter has juggling balls that look like hamsters. So off we went to break some rules. Next up it was time to dust off my nun costume that I had from a previous hunt that I ended up not using for item 127. My daughter had been gifted a BMX by one of my parents neighbours so it was time for me to try do some tricks. I must admit I have never been able to do wheelie before but I think this worked well with my standing on the back wheel pipe bit. 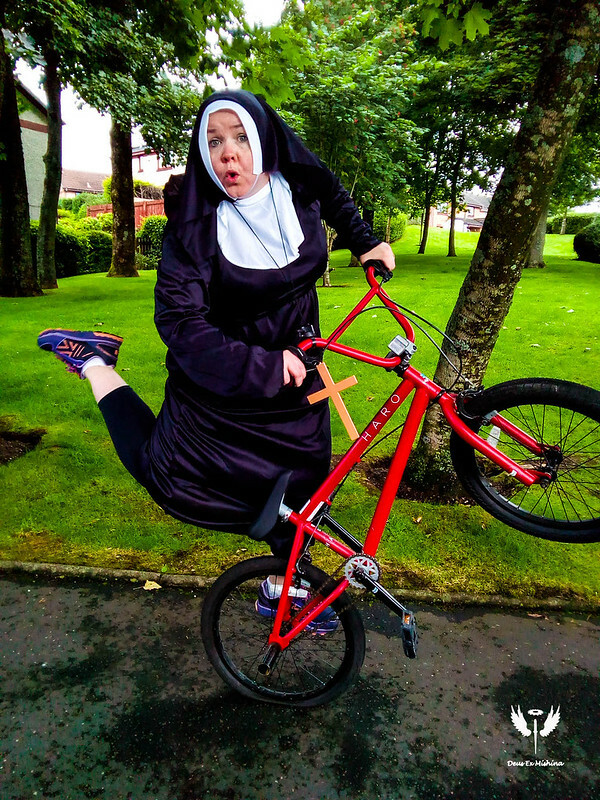 These Kung-Fu Nuns (dare we say “Nunjas?”) are biking through the Himalayas to stop human trafficking. (No, really.) In their honor, let’s see some tricks on a BMX bike. Rider must be dressed in a nun’s habit. After this it was time to go and try to fly our kite. Roslin was really excited for this item as she really likes kite flying, so off we went up to Rough Castle in Bonnybridge to fly our kite on top of a roman fort for item 55. 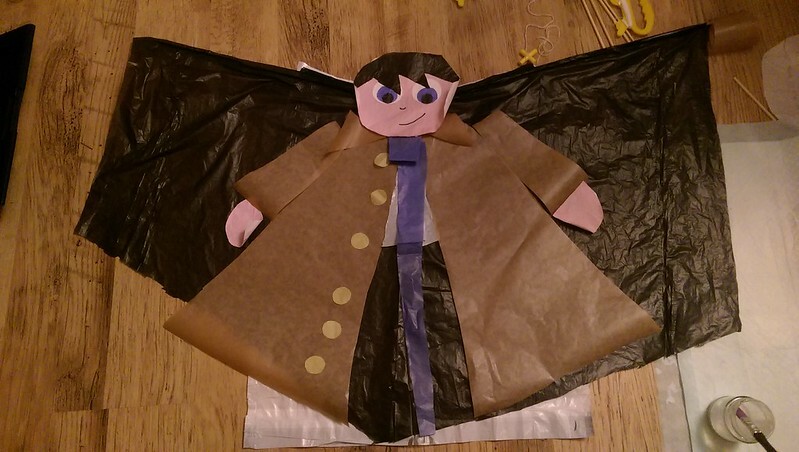 Make a homemade Castiel kite with a child. We must see the kite in flight. 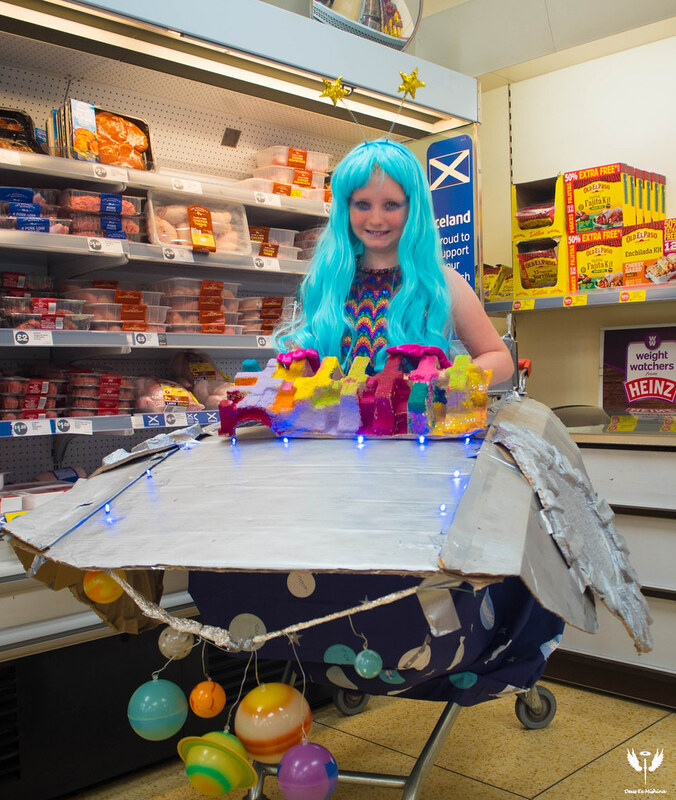 Once I had these items done, I went to my local supermarket up in Denny to beg them to let me make a UFO out of a shopping kart later on in the week which they were more than happy to agree to. I also spent time uploading my pictures and finished packing as over night I was going to be travelling. Before I got the train down I decided to sneak in another item since it was getting dark and I thought Glasgow would be a great back drop for item 121. 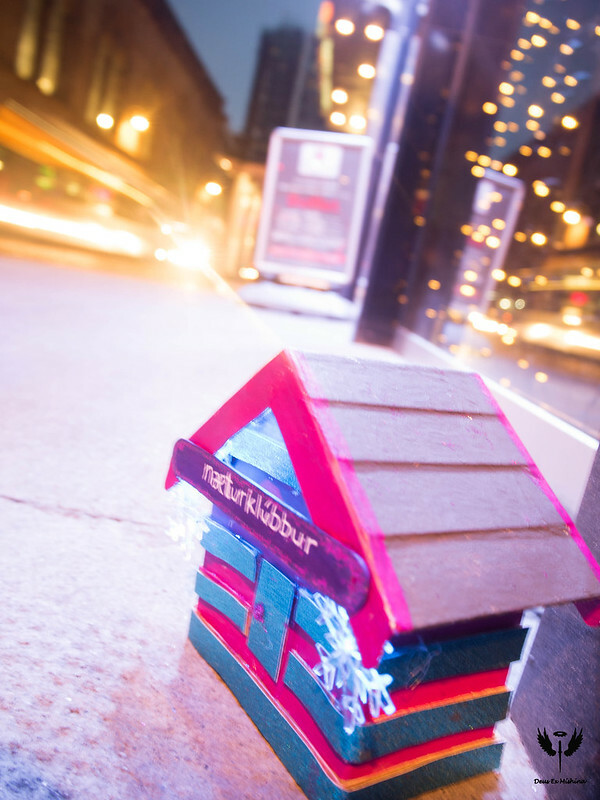 I had made this the previous night and the sign about it says nightclub in Icelandic – Næturklúbbur. I got some very odd looks lying on the ground taking pictures of my tiny nightclub but it was totally worth it. The trip down I thought was going to be a bit dull but as is the way of gishwhes nothing ever is. I found a guy collapsed on the street outside the train station as I made my way round after taking pictures, he was homeless and his friends were all starting to panic as they couldn’t wake him. I assisted until the paramedics came and had the police helping me that one of his friends had ran and got to help. He was doing better by the time the ambulance left and I got many hugs from his friends. Needless to say before the train came I had a large glass of wine. As is the way with Karma, I has some good fortune on the way down to London I was upgraded and got a sleeping room to myself. I arrived in London bright and early and before the crowds started to build I made a bee line for Trafalgar Square for item 100. I must admit I got quite a few odd looks as I stripped off and got dressed on the steps but the picture I got I was really happy with. I decided to read to book Lorna Doone in the image, it’s my name, but also if it hadn’t been for the book the name Lorna would never of existed. I love being a Lorna mostly because it sounds so funny in different accents and even though there is a lack of Lorna mugs and keychains I wouldn’t change my name for anything. Calliope. Clio. 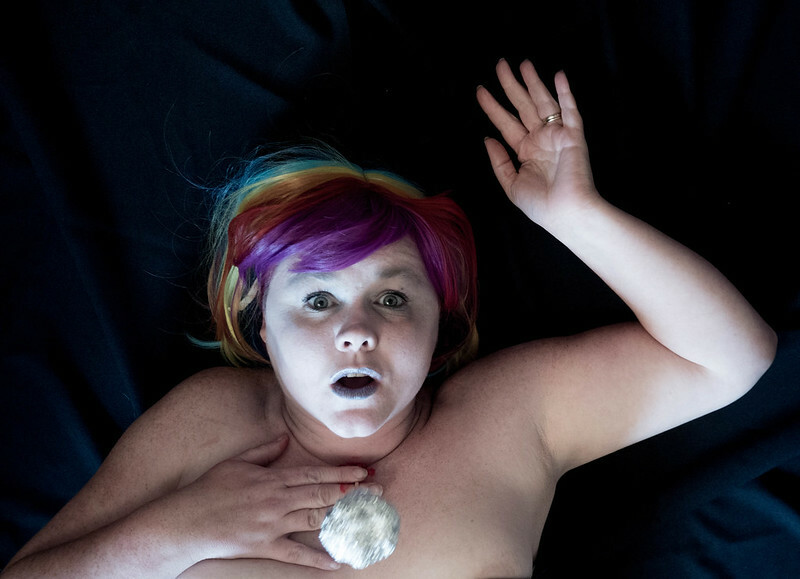 Euterpe. Erato. Melpomene. Polyhymnia. Terpischore. Thalia. Urania. 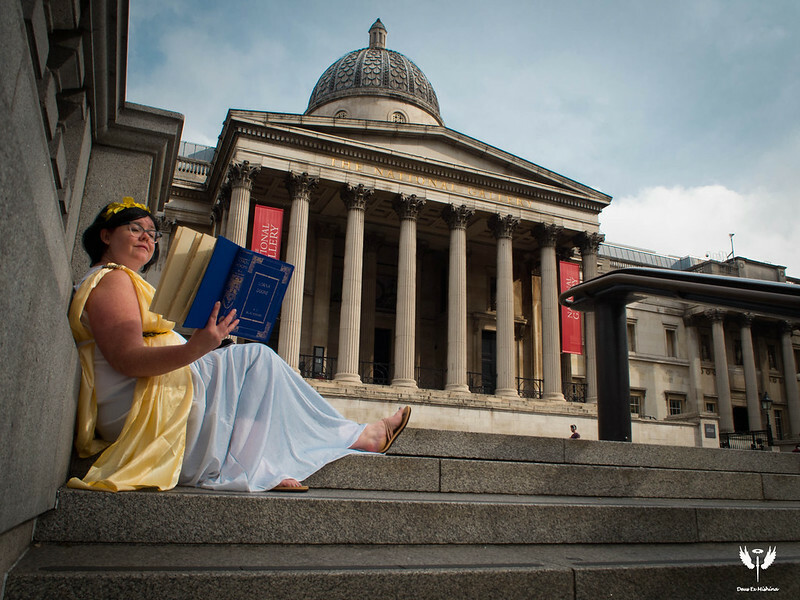 Inspirational goddesses of literature, the arts and science in Greek mythology. On the steps of the National Gallery in Trafalgar Square, provide a visual representation of the muse that guides you in your art and/or life. 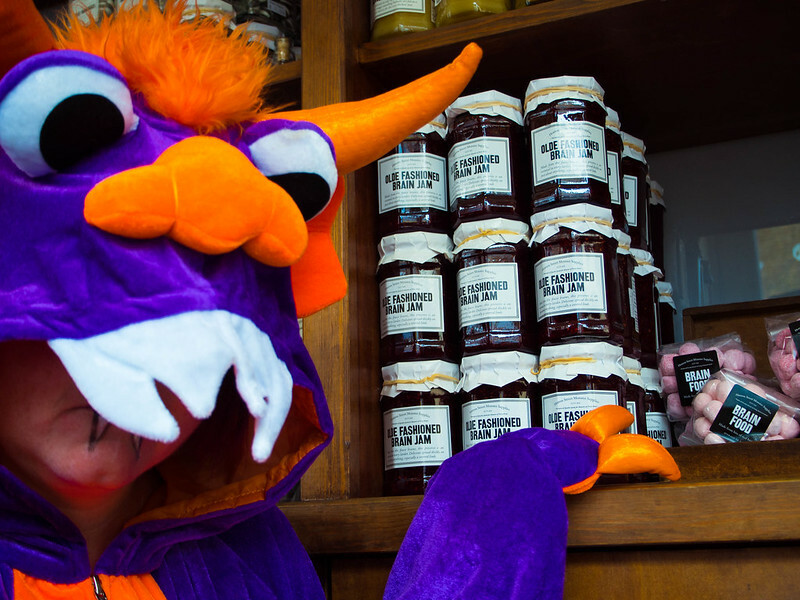 Next I took a jaunt across the town to visit a monster shop for item 146. I fully expected the shop to be open but sadly they have very limited opening hours. There was however staff working in the shop and I begged them to let me take some pictures which when I explained what I was doing they were only to happy to help me. 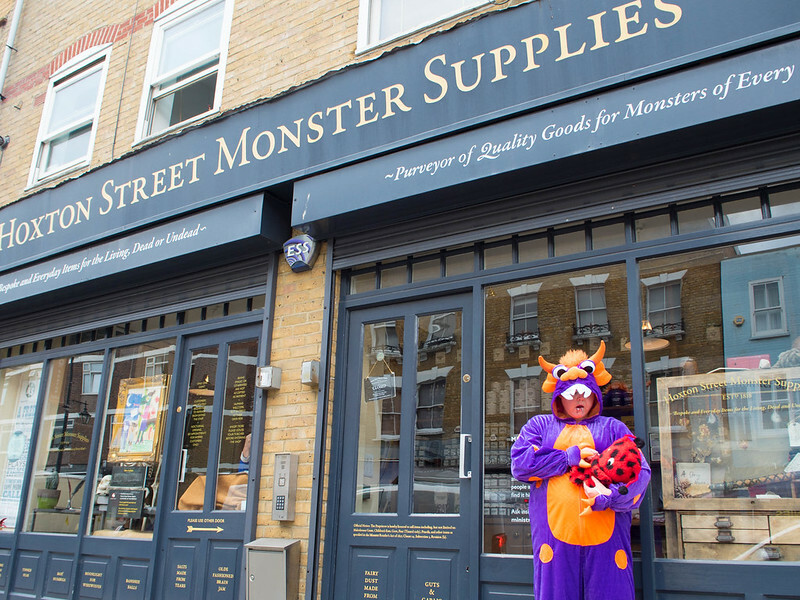 Thank you Hoxton’s Monster Supplies! Two nice suburban monster moms out for a day of shopping at Hoxton’s Monster Supplies in England. The rest of the day I spent trying to do the ghost item but sadly the people I contacted let me down so spent time having a wonder round London and got the sleeper back home overnight again. I slept for 6 glorious hours twisting myself into a crazy shape in my singe chair. Today I started off by painting a stone for item 124. This is such a cute item and rather one person doing it for the team we did this as a group effort. I was so happy to discover my rock was picked up by someone after it only sitting out for a hour. 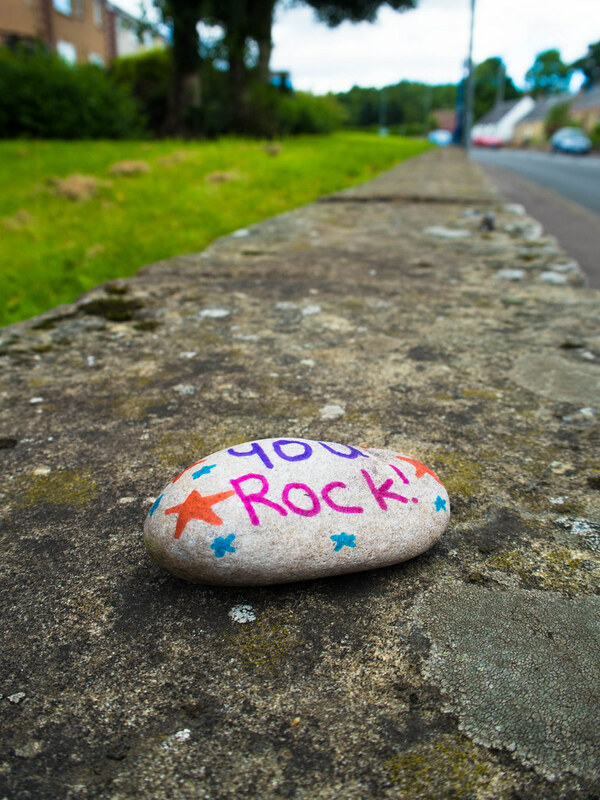 Be someone’s “rock” to get them through the hard times. 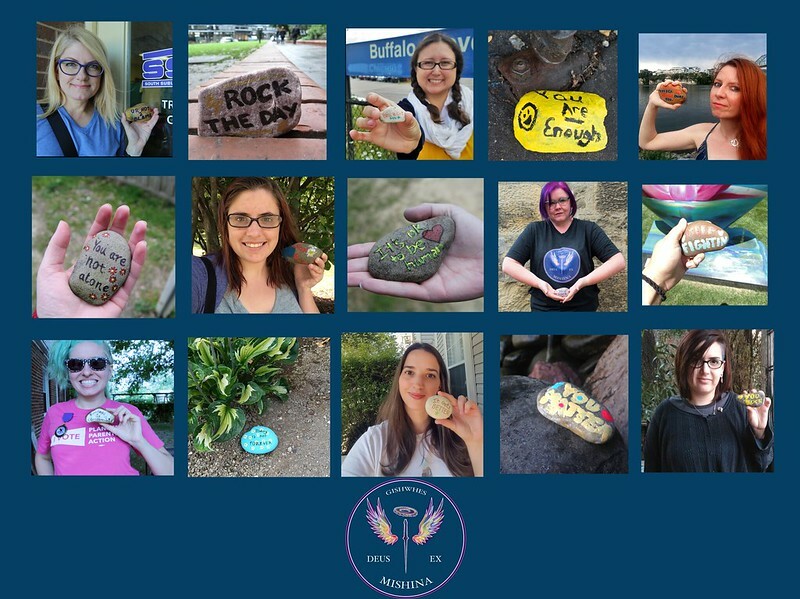 Hand-paint small rocks with a message of kindness & leave them in areas that need a pick-me-up. (On the underside, please write “Pass it on.”) You must paint & hide at least one rock for each member of your team. Next up was item 18, I had given my daughter homework while I had been away to finish her picture for this item, she of course wanted to hug a unicorn. 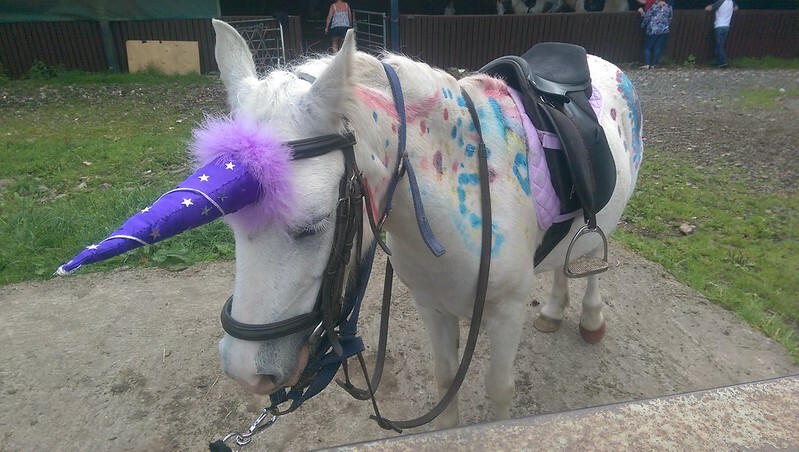 Thankfully I had already made my horn on Monday so off I went to my local farm to get some unicorn hugs. Rosie made such a pretty unicorn. (Side by side) A child drawing of their idea of happiness. Then, make it happen. I didn’t get anything else completed on Wednesday as I was so drained from my travels, but I did get on with some prep and made a panda dress for Roslin as a onesie was boring she wanted a dress, I needlefelted a chupacabra and we made the UFO for friday. I slept for 4 hours. Today we sprung into action kicking things off with item 87. 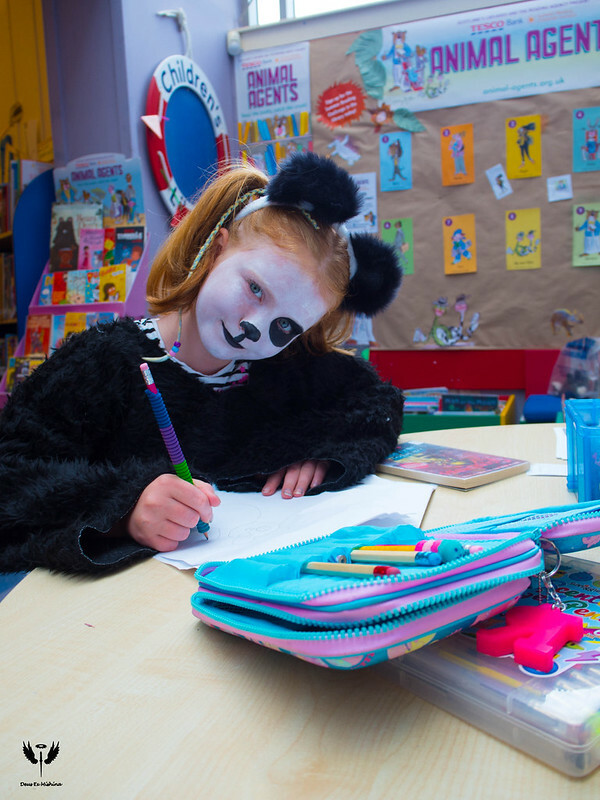 Roslin loved her panda dress and makeup. I’m pretty sure if she could be a panda all the time she would probably consider it. She decided to stay as a panda for the rest of the day after completing the item. 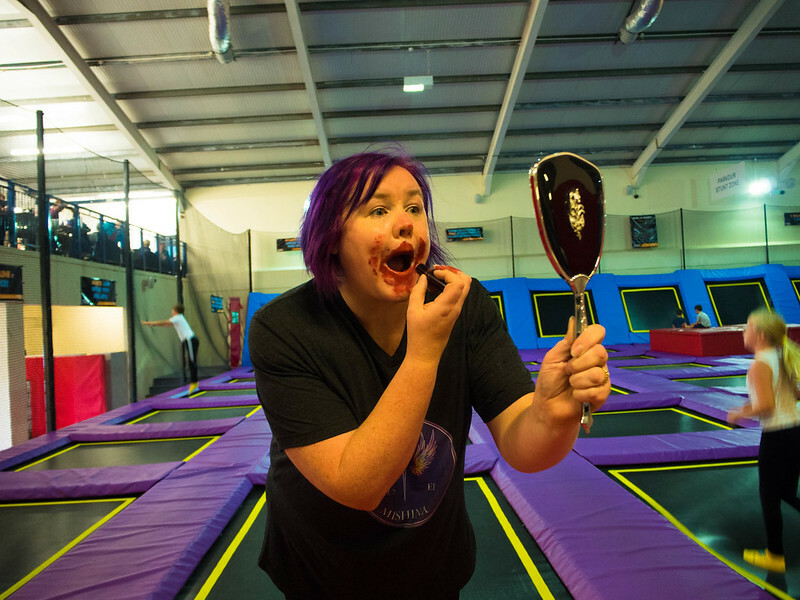 Roslin decided after being dressed up it was now time for me to do something silly so off we went to Sky High Trampoline Park for item 89. I had emailed the manager but had no response so I decided to just go along and chance my luck and I was indeed in luck with the manager being happy to let me film and put on my lipstick. 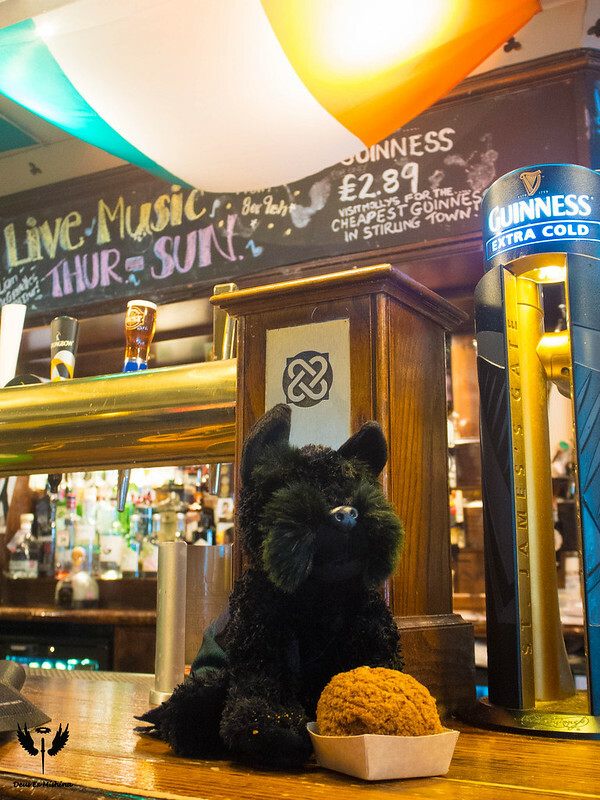 A Scottish terrier in a Scottish kilt eating a scotch egg in front of an Irish monument. When I got home there was a new item which was 204 and sent to drive me crazy! So much time taken to do this but managed on my 3rd attempt. This was a big setback I should of been doing more things not sitting yelling I am a Wrasse! 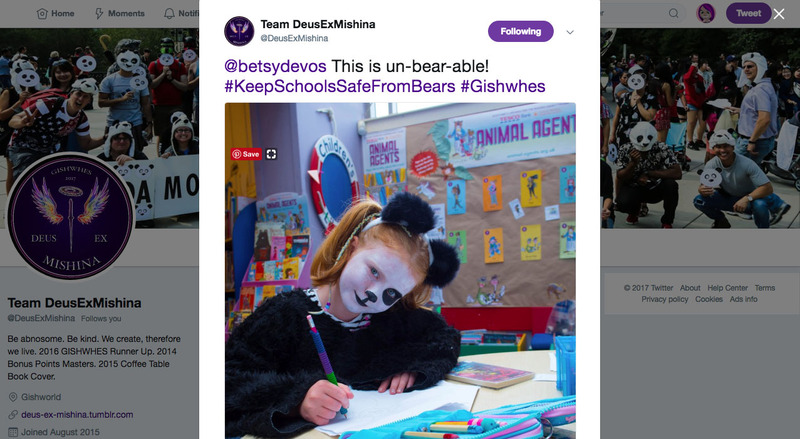 Escape Gishwhes! 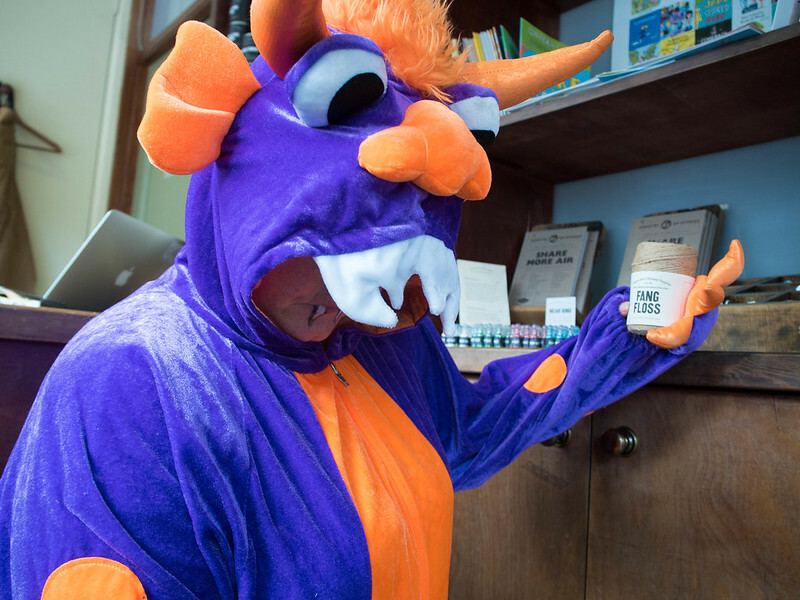 https://www.gishwhes.com/escape-room/. If you manage to break out of this wild ride of mystery and mayhem, you’ll be prompted to enter your Team Name to document your success via an online form. BEFORE YOU HIT THE SUBMIT BUTTON, take a screenshot showing your team name in the Text Input Field and save the image, THEN hit the SUBMIT button. Your submission will be uploading the screenshot on our item list (backed up by what the online form sends gishbot). Next up was prep time again I set up toys in my booze cupboard having a party, made trump and putin puppets and made a picture of my cat out of catfood. I wasn’t able to shoot anything as it was dark so off to bed until morning and more items. Down to the last couple of days now. I got up and had items to shoot right away. First was my needle felted mascots. I have made one every year of the hunt and for item 20 I thought they would fit in perfectly. 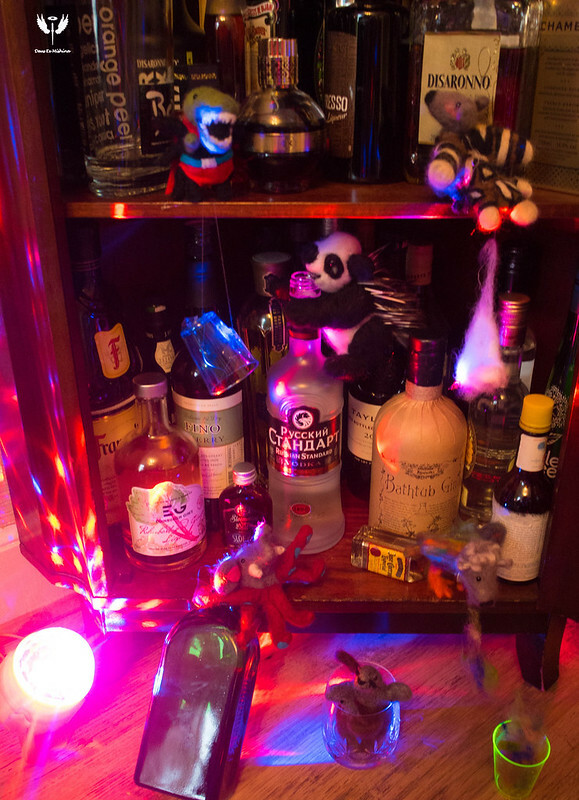 I staged them in my booze cupboard. Felt bad for poor Wooster though, the other mascots are such enablers! This family’s toys get into sweet, crazy escapades at night while the kids are sleeping. Your family’s toys make that family’s toys look like do-gooders. Let’s see what happened with your family’s toys while you slept last night. Next I tackled getting the picture of my pet food portrait for item 19, I set it up in the kitchen for good light and Mildred decided she liked I made her and decided to model with it. 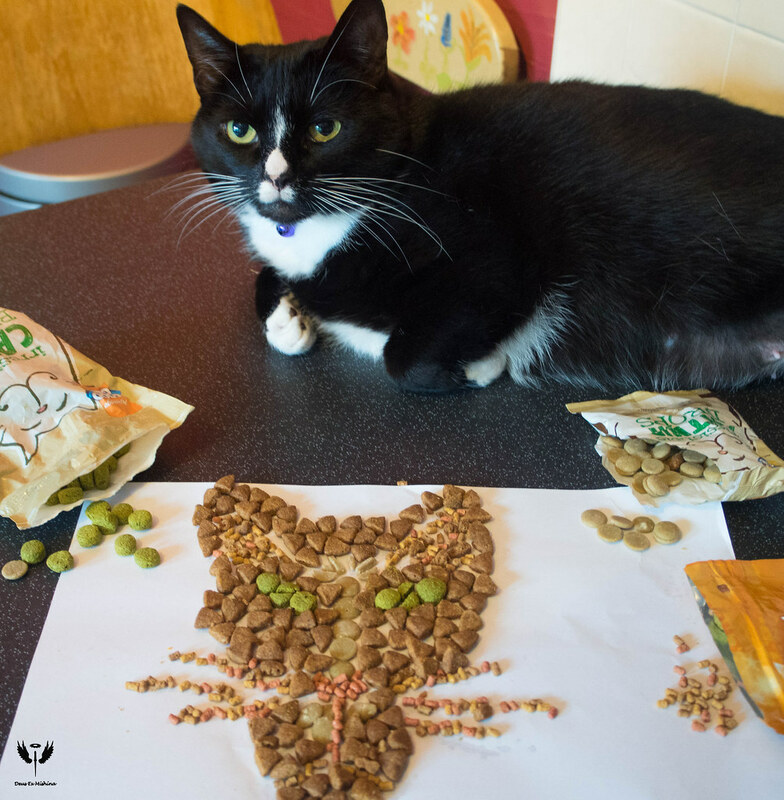 (Side-by-side image) A photo of your pet and a photo of the portrait of your pet that you have made from their own food and treats. After I managed to drag my daughter up and fed her it was time to head out to get another item. I had arranged earlier in the week for a photoshoot at a local supermarket to do item 74. And with our UFO already made it was just a case of getting Roslin alien child ready and head on up. We got a lot of looks since we live in an area called the Bonnybridge Triangle. Modify a grocery store shopping cart to be space-worthy. Put an alien being in the pilot’s seat and help them navigate the terrain of the “Earth produce” department to collect specimens. After this I headed home to race some snails for item 44, sadly after a big hunt of my garden I couldn’t find any snails so my course was going to be run by a slug. I poked in my compost with a big stick until I found a big slug and I was ready to race. This was horrible, I like seeing things happen and after 45 mins the stupid slug hadn’t crossed the finish line! When eventually it did, I got some help from my teammate Guu to do the final graphics. (Time-lapse up to 20 seconds.) A snail (or similarly VERY slow insect or worm) crossing a path or going up a wall. Put or stick objects in its path so it has to change directions multiple times. Then have it go through some “winner” gates at the end of its arduous trek. To make it a gripping adventure, you’ve dropped frames and turned this into a fast-paced adventure and set it to 1980s video game music, complete with a grand finale sound at the end when it makes it through the gates. After loosing my mind sitting waiting on the snails I decided it was time for some fun again and I put on the Trump and Putin puppet show for item 98. This was actually a lot of fun, but I am apparently pretty rubbish with string puppets, I mush prefer full hand ones but I now own these guys so might get in some practice. A marionette show featuring a puppet of Trump being controlled by a Putin lookalike. Quintuple BONUS POINTS if Putin himself is the puppeteer. 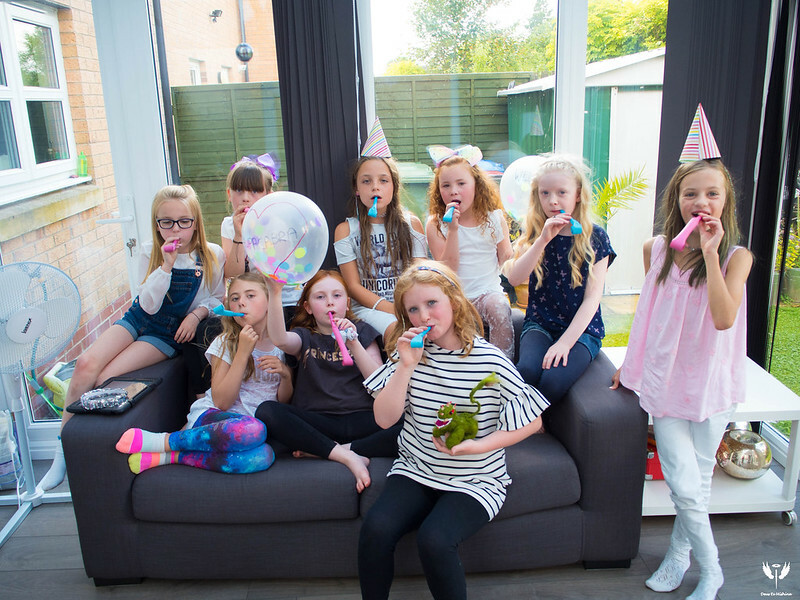 I had a bit of kid free time while she was at a party but I reached out to the parents to see if they would help me throw a party for item 136, and they were all happy to help, so I armed multiple kids with balloons, blowers and party hats and we celebrated the new arrival. If I wasn’t already half deaf I was totally deaf after the party blowers. Often misunderstood and rarely properly pronounced, chupacabras just need a good home. Adopt one and show us your favorite bonding moment. When I got home the team had been busy working on item 196 we decided to sponsor a Child Refugee. It’s amazing and I am really humbled to be part of this. We sent her letters and this is what we did for the item. THIS ITEM MUST BE POSTED ON SOCIAL MEDIA PRIOR TO THE END OF THE HUNT! THIS IS A TOP SECRET ITEM! DO NOT SHARE ITS CONTENT ON SOCIAL MEDIA UNTIL DIRECTED OR YOU WILL RUIN THE SURPRISE AND BE DELUGED WITH BAD KARMA. By now, most of you may know our friend Giles Duley. If not, watch the video at the top of this page. Then, watch here to see what he did with us recently: https://youtu.be/-tOt9LfZF9w …and he’s doing something amazing with us again with us this year (which we’ll be announcing VERY soon). Giles inspires us and we want to thank him for all of his hard (and often thankless) work. So, we’re going to thank him… BUT WE’RE GOING TO SURPRISE HIM! SO PLEASE, PLEASE DO NOT POST ABOUT THIS UNTIL THE DESIGNATED TIME: On Friday, August 11th, at EXACTLY 9am PDT, we are going to give him a “thunderclap” of thanks on the Internet. Because Giles thinks EVERYONE can make a difference no matter their circumstances (and he’s a living embodiment of that), we’re going to prove it. Here’s your job: before the 11th, go out and do an act of kindness. 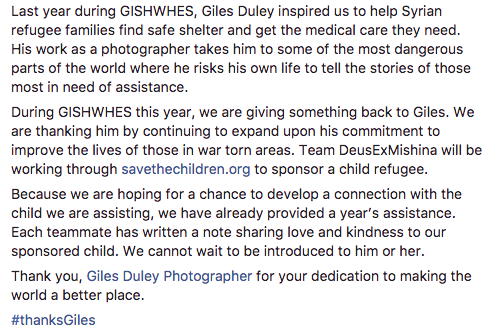 But not just any act of kindness… Giles works hard to help refugee families and landmine victims, so your act of kindness should focus on expanding his work exponentially through the power of gishwhes and gishers. Do something that makes a meaningful, material difference in the life of either a refugee or someone who has been directly impacted by war. If you’re at a loss of how to do this, here are some suggestions: bring a care package to new refugees in your neighborhood, go to a refugee center and volunteer, bring a warm meal to a homeless veteran on the streets, volunteer at a soup kitchen where you know there are war veterans, make a donation to an organization that helps with reconstructive surgery and prosthetics for war victims, or sponsor a child made homeless by the war with a one-time or recurring donation. If you can’t manage to find or coordinate any of the above (but please try! ), simply carry out a random act of kindness for another human being on the planet who could legitimately use some kindness. Dig deep on this one, guys. The goal is to cause a ripple effect from the work Giles is doing and expand it worldwide. Let’s do this. Capture an image or video of this act. At 9am PDT on Friday, August 11th, post the image or video on Facebook with a detailed description of what you did and crosspost to Twitter. Be sure to mention Giles in the post. (For Facebook, tag @GilesDuleyPhotography and on Twitter, tag @gilesduley with #thanksGiles as the hashtag.) the image or video you take on our site, but provide the link to your social media post link in the comment field of the page. 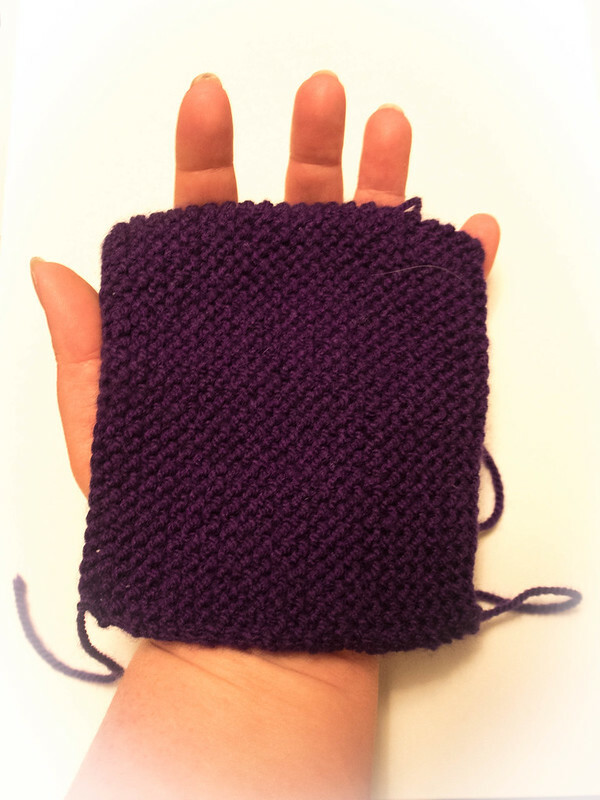 Final item for Friday was knitting the square. I have tried to knit before and even tried finger crochet, I had to get my mum to help me out with this as I pretty much just had a tangle of wool. Item has defiantly inspired me to learn to knit. Was so annoyed I needed help for this. Each member of your team must knit or crochet one piece of a quilted throw that, when combined, showcases your team emblem or symbol. With nothing to prepare for my final day I was able to get a decent sleep which was great as I had a drive into a city to do the next day. I got a whopping 6 hours. So I was off to a flying start with the meet another gisher day item 123. So armed with chalk and coleslaw I headed to the Kelvingrove museum and gallery. 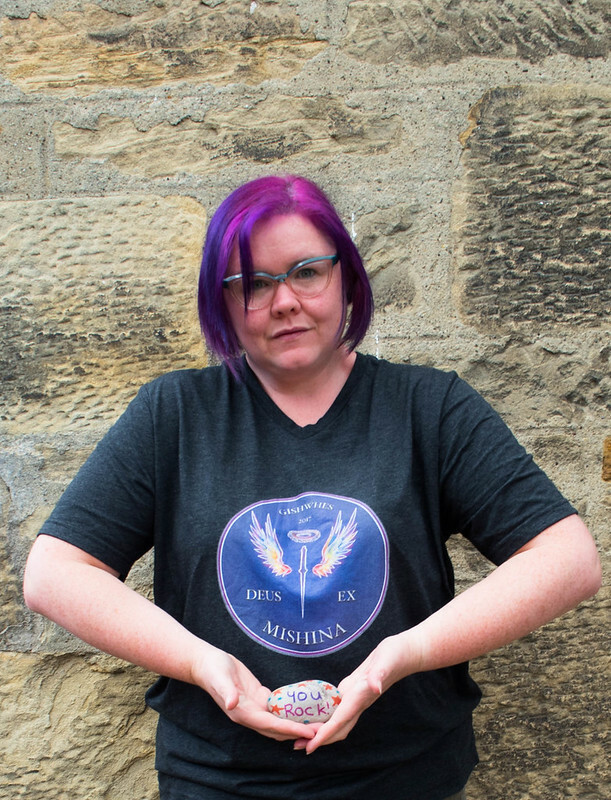 There has never been a big meet for gishwhes in Scotland with a couple of people saying they tried the meet items before but only one other team turned up so this year I decided to make sure we had this. 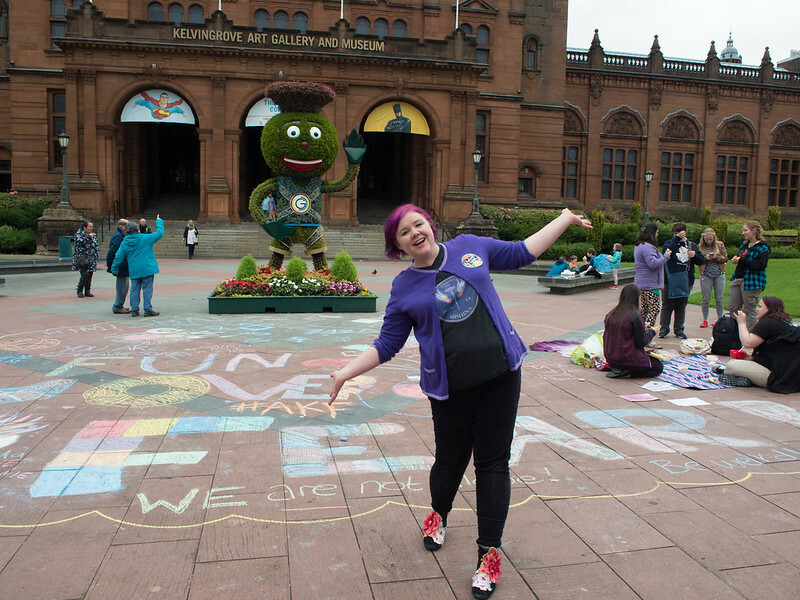 I set up a group of facebook months before the hunt to try to wrangle enough scots should an item come, and lucky for me my hard work paid off and I got to meet some amazing gishers from all across Scotland. As all gishers know, Saturday, August 12 is “Meet Another Gisher Day.” Meet up in front of the largest art museum in your town at 10:00 AM (of whatever timezone you’re in). It’s a pot-luck coleslaw brunch this year, so bring your favorite family recipe of coleslaw… and as much sidewalk chalk as you can. After brunch, decorate the pavement with a collaborative message to the world. In order for a meet-up to count you need to have representatives of at least 5 teams present, so this will require some organizing. 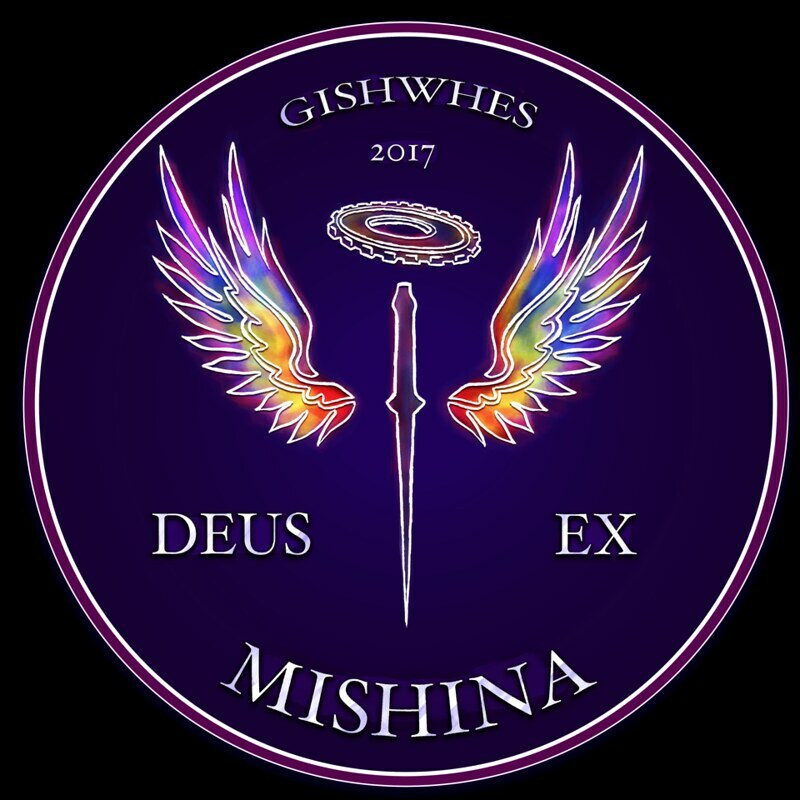 Gishwhes is all about coming together, so teams may collaborate (gasp!) on this one, but your team’s image or video must still be all your own. On my way home I got an email. I had contacted one of my local MSP’s to see if they would like to do some carpool karaoke with me for item 61. Sadly he was away on holiday and although he said he would reach out to a couple of his colleagues I wan’t holding out much hope, but then the email came. One of our amazing local elected counsellors had agreed to do it! I pretty much had time to remove multiple costume, ufo and coleslaw from my car before I headed of to sing my heart out with the amazing Laura Murtagh. (As long as it takes to complete the song.) THIS ITEM MUST BE POSTED ON SOCIAL MEDIA PRIOR TO THE END OF THE HUNT! James Corden hosts Carpool Karaoke in the US— a viral show that has celebrities singing songs with him in a car. (Yes, we realize this is typical lowbrow-American TV, but it works.) We want to upgrade carpool karaoke and make it more high-brow. Create your own carpool karaoke with a political or intellectual powerhouse. Your co-singer must be either a nobel laureate, MacArthur Fellow, a national elected official, Bill Nye, Jane Goodall, Neil deGrasse Tyson, or any past or present member of the Harlem Globetrotters. Oh, and your karaoke song must have sufficient gravitas and must be an 80s pop song. For example, “Like a Virgin” would do nicely. Shoot your video Carpool Karaoke style. Tweet the video to @JKCorden with #gishwhesloveskaraoke and mention who your passenger is in the post. Upload the video on our submit page but be sure to provide the link to your social media post in the comment field of the submit page. After I sang my heart out it was time to head to by childhood town with my Mum who was born and grew up in for item 16. I really enjoyed walking around the town even if everything seemed to look smaller now when it always used to look so big. It was nice being back and my mum told me other stories as we visited locations from her past. My Dad did the story but sadly he was lawn bowling and couldn’t come to help with the video, but loved hearing his story about meeting my mum. (Up to 2 minutes.) Take your parent back to the place where they lived when they were 10. Find someone they knew from then and ask them to recall a shared memory. After this I headed home to get my grill on for item 96. Roslin was not very impressed at me for using her Sulvanian families food for this but I think they worked perfect, and they have mustard! And with that it is now the end of another gishwhes, and this the final one before something new next year. I have gave it my all and my team was amazing, so encouraging, so bus shredding abnosome, I am in awe at what we accomplished and I loved every second I got to hunt with this amazing bunch.